Contact Lens with a great selection of amazing designs to suit your occasion or party... or to drive you CRAZY! 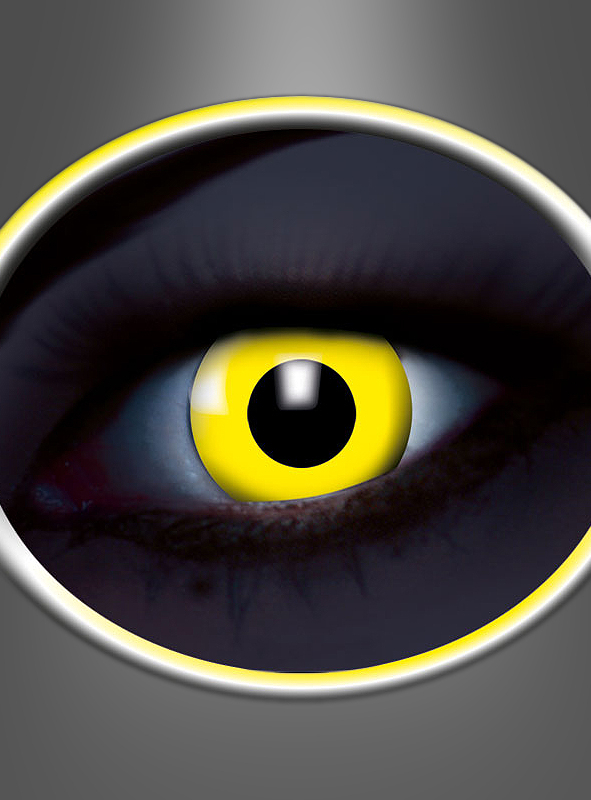 UV Flash Yellow lenses for many disco and party costumes. Dance in UV black light and your eyes will light up and shine. Real funky looking crazy andwild eyes design, 1 month lenses in VIAL, PLANO ONLY (-0.00 Power), 42% water and 58% polyhema. For storing you need Solution Set with lens box.